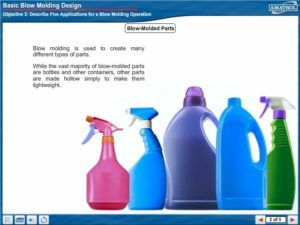 Plastics Technology 2 introduces blow molding operations, basic blow molding design, and introduces extrusion operations. To introduce blow molding operations topic will cover blow molding process, blow molding safety and operations, and blow molding troubleshooting. 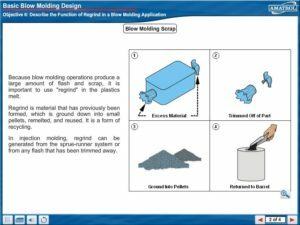 Basics in blow molding design will introduce blow molds design, materials, and advanced design. 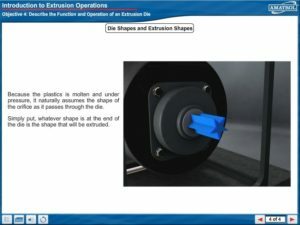 To introduce extrusion operations topics will include extrusion process, extrusion safety and operation, and extrusion troubleshooting.